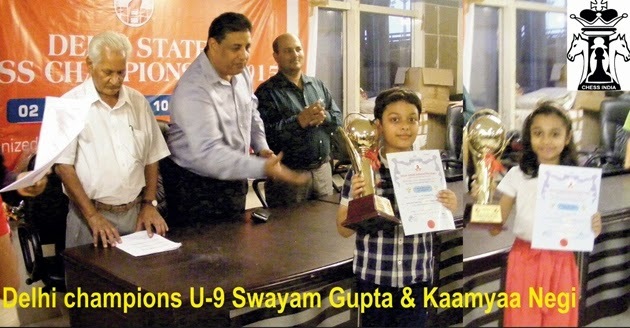 In the just concluded Delhi State Chess Championship, Swayam Gupta won the Championship for under-9 category in a competition among 46 participants. Swayam, is a consistant performer during last 3 years and is inspired by her sister, Sana Gupta, who is also the a captain of U-17 national squad. Kaamya Negi, the winner of Under-9 is already in high spirits and has won many medals in the current delhi state category championships and is also National Under-7 runner up.